Have you ever tried affogato? Lord, it’s delicious. You scoop vanilla ice cream into a cup and pour hot espresso over it, then eat/drink it with a spoon. Well, our caffeine overlords at Starbucks, always experimenting with new methods of introducing coffee products into our systems, will be adding ice cream to more than 100 of its store for this express purpose. We heartily endorse. But there’s a catch. According to The Seattle Times, the affogato will only be available for now at its Orange County, California stores, as well as its high-end Reserve bar concept, currently in 18 stores nationwide. Starbucks has been targeting upscale coffee consumers of late. 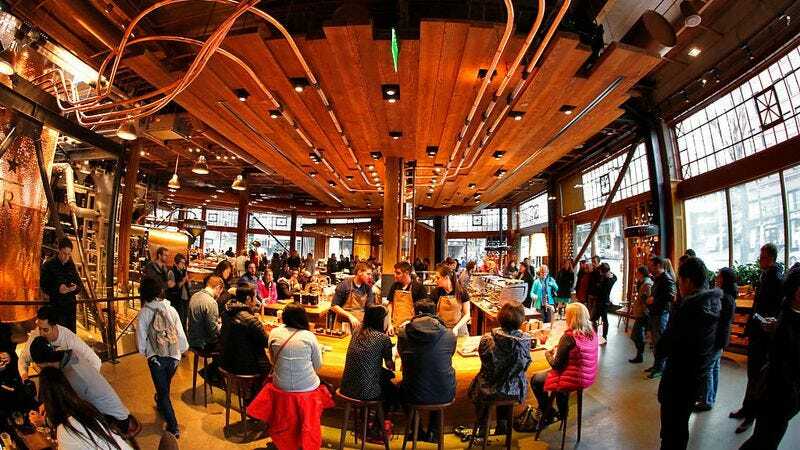 At its flagship Seattle location, its Roastery Reserve and Tasting Room brews small-batch coffee for more discerning customers.